We have been hearing about the movement to reduce pollution, CO2 emissions and decreasing our carbon footprint for years. There are so many levels that humans can contribute on, but when it comes down to the individual, we sometimes feel like it is out of our control. 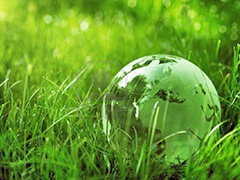 However, there are a number of ways that each of us can contribute towards a greener planet. Some of these things you may already be doing, but there might be some that you aren’t aware of. First, of course, is recycling. If you have a program in your county, make complete use of it. Recycle everything. That means in the bins, as well as recycling all that wasted packaging you get in shipments. Examine if your company has a recycling program. If not, set up bins in the offices. Second: Begin buying products that offer earth friendly packaging. If you have a favorite product that you see is wasteful in the packaging, email the company and let them know you are disappointed in their packaging and you will not be buying the products anymore. Take material bags when you go shopping and stop using those plastic bags. Many stores are instituting policies where you get credit for bringing your own recycled bags. If you have to have plastic bags, take them with you to the stores and recycle them in their recycle bins. Third: At home, don’t preheat your oven. Only items such as bread or pastries need to have a preheated oven. Adjust the cooking time to allow for the temperature difference and don’t open the door; instead, view food through the oven window. Turn off your computer at night. Another idea is to stop rinsing your dishes before you put them into the dishwasher. This can save around twenty gallons of water. Replace your regular light bulbs with the eco-friendly fluorescent bulbs. If we each do just a little bit, we can make a difference for a greener planet. After all, that’s how the first Earth Day started! Posted on July 17th under Global Ecology. In most places, it’s common practice to recycle. I am astounded at how many haven’t added this into their lives. We also stopped using bottled water and instead bought a water filter and make our own, using reusable water bottles. I put pressure on our county about recycling everything, but they have a problem with Styrofoam recycling centers. Apparently, there aren’t enough of them close enough and they lose money trying to recycle the stuff. Our household is heavily involved in recycling. We also replaced all of our lightbulbs. The school systems emphasize recycling and the kids join in to make sure everything we have is recycled. We complained to the grocery store about Styrofoam packaging and they eventually made a change. We have been using the material bags for years. It was difficult to get my husband in the habit of using them at first, but, I keep them in the back of the car and now he grabs them and proudly takes them in. They are actually sturdier and easier to load into the car. I also give them out to friends and neighbors for holiday gifts. We also plant area-friendly plants instead of importing greenery that causes an imbalance in the natural growth.